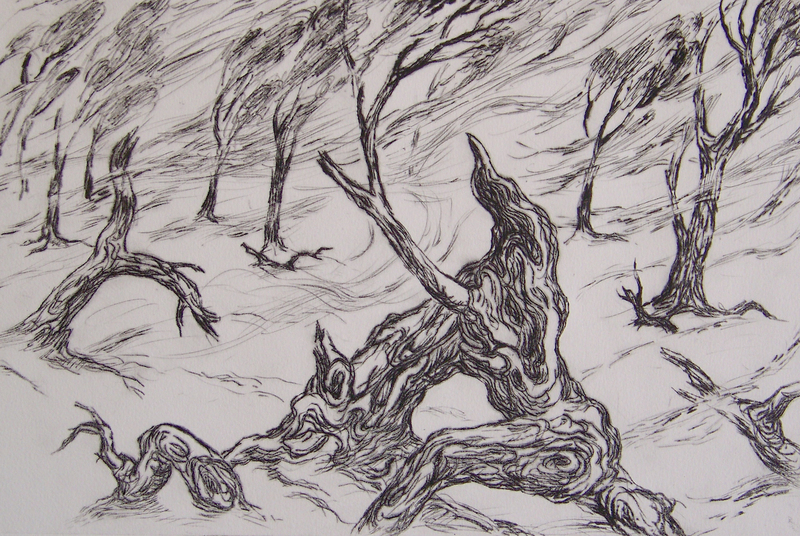 Victims of Drought, drypoint, 25 x 37cm. Sandstorm, drypoint, 25 x 37cm. 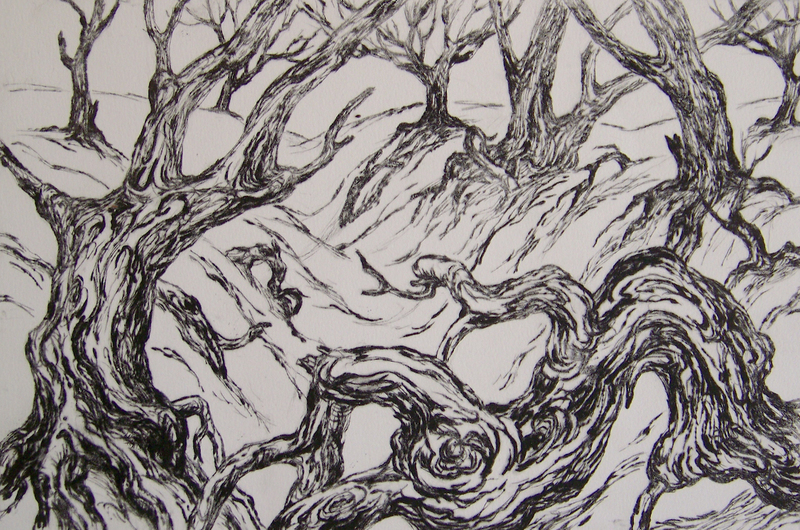 Creeks Left Hollow, drypoint, 25x37cm. 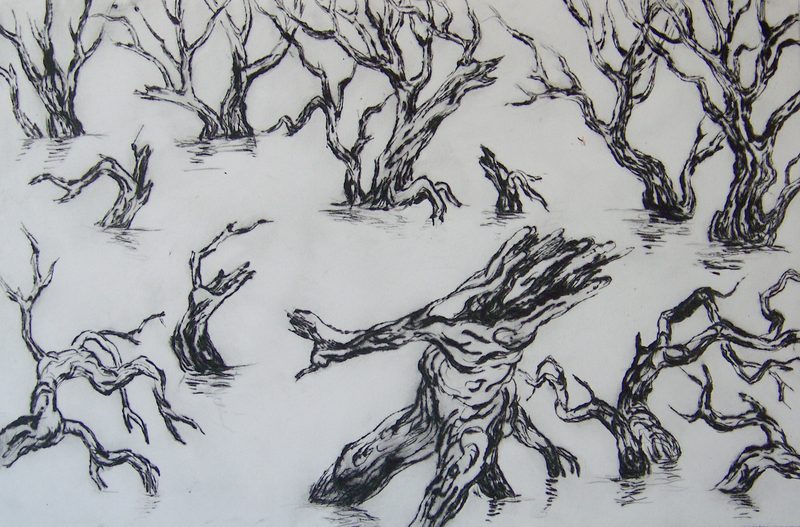 Flood, drypoint, 25 x 37cm. 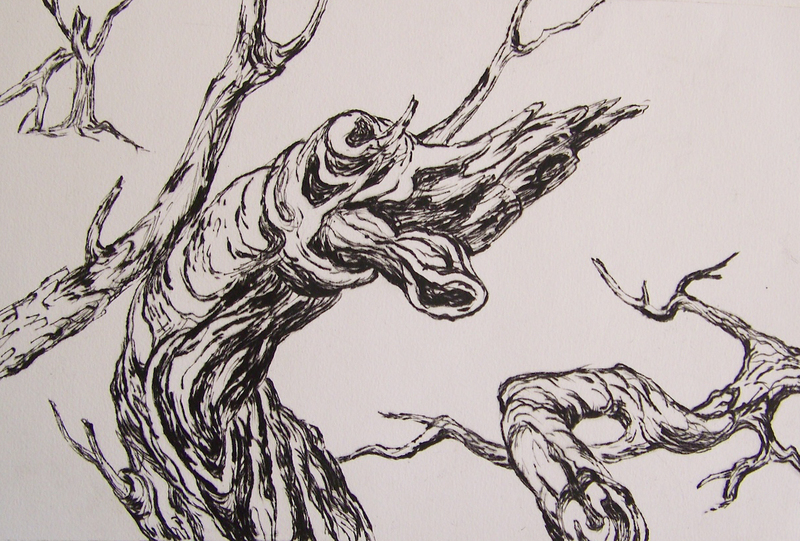 In this series of etchings I am exploring the effect of natural disasters such as drought and flood on nature and I see how the dead and broken trees have been sculptured into new dynamic forms of life.